Birds are freed from cages. Fruits and clothes are distributed among the sick and abstinence is observed on eating meat. The Bodhi tree is revered. Its branches are decorated with garlands and colored flags. Rows of lamps are lit around the tree, and milk and scented waters are sprinkled on its roots. The rituals include prayers, sermons on the life of Gautam Buddha, continuous recitation of Buddhist scriptures, meditation by monks and devotees, and worship of the statue of Buddha. Offerings of incense, flowers, candles and fruit are made by believers, who prostrate several times in front of the idol. On this Holy day the Buddhists bathe and wear only white clothes. They gather in their viharas for worship and give alms to monks. Buddhist Pilgrims come from all over the world to Bodh Gaya to attend the Buddha Poornima celebrations on birthday of Buddha. 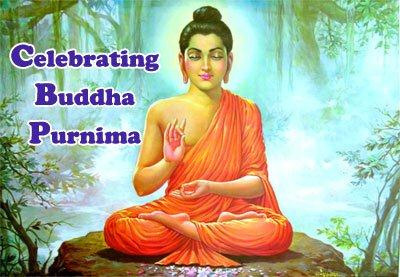 The day is marked with prayer meets, sermons on the life of Gautam Buddha, religious discourses, continuous recitation of Buddhist scriptures, group meditation, processions, worship of the statue of Buddha and symposia.